Hello welcome to JD alloy refurb, we are a professional alloy wheel refurbishment service based in kingswinford,Stourbridge. We're highly trained and can take care of any kind of alloy work needed such as curb scrapes, chips, scratches, or just want a change of colour we have it covered. We work at competitive price to get the cheapest price to you guaranteed averaging from 30-45 a wheel depending on condition. We also offer a plastidip service. Plastidip is a sprayable paint like substance but dries solid like a cover. Brilliant for protecting your alloys or if you want something different. Plastidip just peals off like a wrap and you have your original alloys back again . 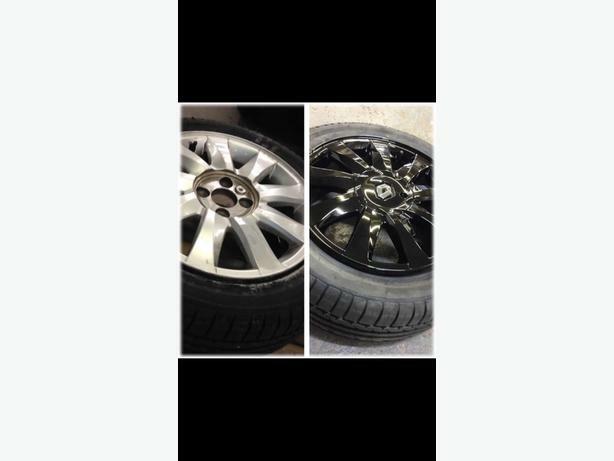 give us a message today or call on 07920396330 and ask for JD alloys thanks for looking.